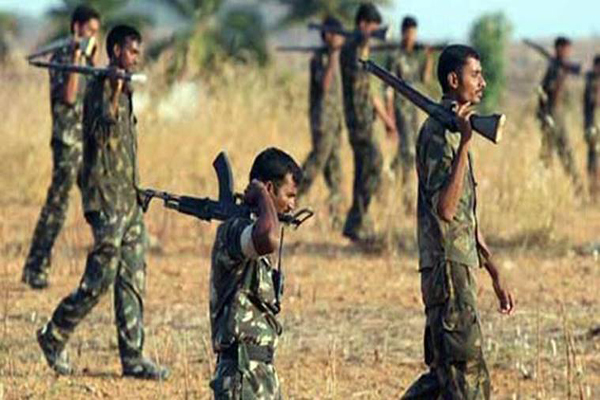 Raipur(PTI): Four police personnel, including two Sub-Inspectors, were killed and seven others injured in a fierce gun-fight with Naxals in Chhattisgarh’s Narayanpur district today, police said. The encounter took place in the deep forests of Irpanar village in Abhujmad area when a police team was out on anti- Naxal operation, Special Director General of Police (anti- Naxal operations) D M Awasthi told PTI. “Two Sub-Inspectors and as many constables, belonging to DRG (District Reserve Guard of Police) lost their lives and seven other personnel sustained injuries in the incident,” he said. The team, comprising personnel from DRG and the Special Task Force (STF) of police, was cordoning off Irpanar forests when the exchange of fire broke out, he said. Soon after getting information about the encounter, reinforcement was rushed to the spot, D M Awasthi said, adding that the injured were being airlifted to Raipur for treatment. Inspector General of Police (Bastar range) Vivekanand Sinha said the encounter started around 11 AM and lasted for over two hours. Special Director General of Police (anti- Naxal operations) D M Awasthi told PTI.